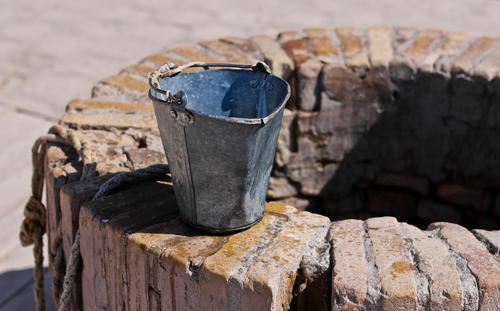 Most writers have experienced this—not just once—but often: The well runs dry. It can be said about sharing your faith with others as well. There are no words or thoughts coming your way, only silence. You know the Lord is still there and you continue to experience His presence through the Word, a worship song, nature and countless other ways. But still, the words don’t come. The Bible is full of examples of good people having to live through dry times. Job, the Psalmists, Jeremiah and others lamented over the times they felt empty and unable to encourage each other because of the Lord’s silence. They cried out to Him in anger and frustration, reminding Him of the promises He had made. Often during their lamenting, they actually experienced His presence, and God heard them. But He remained silent. The prophets and writers had to learn to wait in order to hear from God. The same is true for us today. When you know the truth about God and who He is, you have no choice but to wait during the dry times. You learn to grab hold of the little glimpses of truth that are within your reach and hold on with all your heart. You know that when He is ready to fill you up again, He will. The longer you walk with God, the more comfortable you become waiting on Him. You know from the past that He is working His will out in your life and you trust Him to keep on doing just that. These are the times the enemy’s greatest attacks appear on the scene, but you know that God is present even if it may not feel like it. You know that at any moment the living water is going to replenish your dry well and open up the way for the words He wants you to share with others so they too will be fed by His Spirit.